Time to add charts to NextReports has come. Similar to report, a new chart perspective is created. 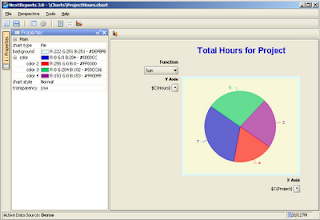 In here user will modify chart layout, which consists of four components : title, main, X Axis and Y Axis. Any component has a list of properties. Charts can be previewed from NextReports designer. Default browser is opened with a flash object created from a json data file. 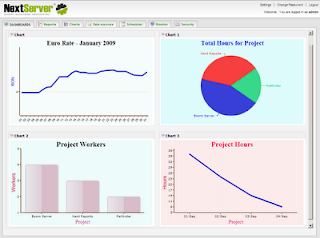 Charts can be published to a NextReports server where any user can add them to a a dashboard for viewing in real time.